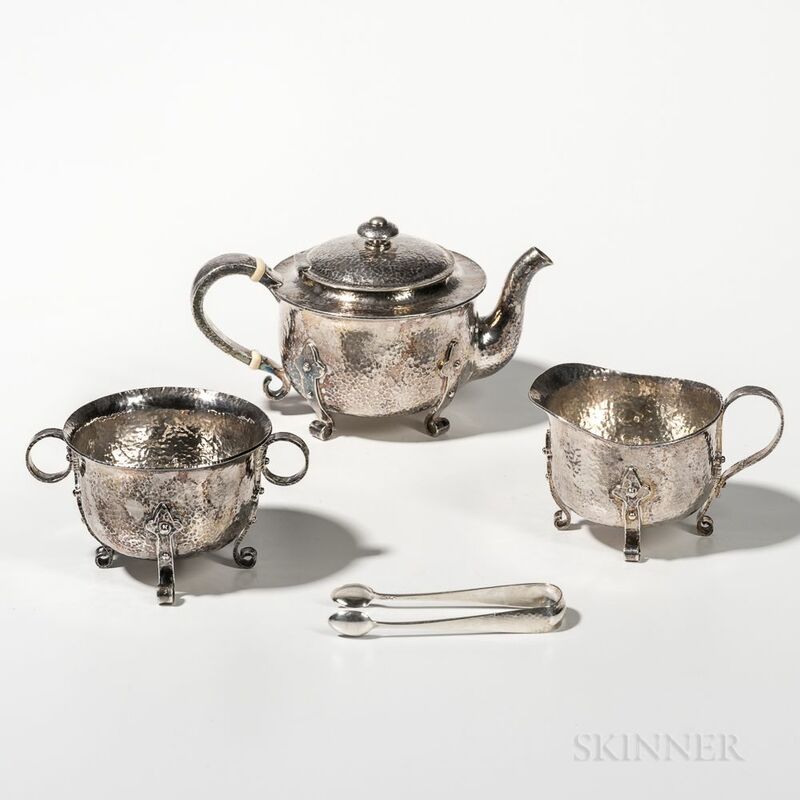 Dominick & Haff Three-piece Sterling Silver Tea Set with Tongs, New York, 1882, including a teapot, a waste bowl numbered "172," and a cream pitcher no. 172, presentation on base "M.R.K. from B.H. 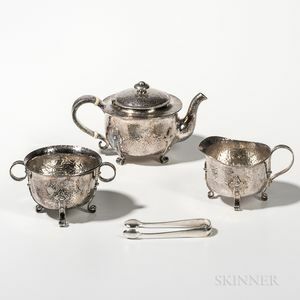 "; allover hammered texture, waste bowl and teapot with strapwork; with a later pair of sugar tongs, maker's marks, approx. 30.0 troy oz., ht. 4 1/4, 2 1/2, 3; tongs lg. 4 1/4 in. Tea pot handle loose at insulators. Tiny nick in spout.